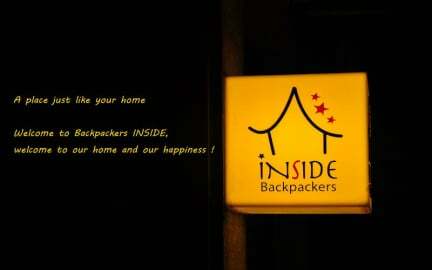 Enjoy a comfortable stay and real Korean lifestyle when you stay at Backpackers INSIDE. We are located in the heart of Daehangno, a historical, cultural, and shopping center (Dongdaemun) of Jongro in Seoul. It is only a five minute walk from the bus stop and the subway station. If you don't send us your arrival time again to us individually, your booking will be cancelled without notice. Without our confirmation mail, your booking is not 100% confirmed.